Day 1 of 20 – GWN! So the plane landed safely in Frankfurt in what was by far the easiest flight I have ever experienced. Had my own seat. The plane was more than half empty. We had a tailwind; landed 30 minutes early. And I ended up chatting with this Austrian guy who was visiting the GWN on business. When I’m flying I have this thing about asking people what they do (as in I try not to). But after about thirty minutes of talking about how dumb the Olympics are, dude casually mentions what he was doing in Canada. He was selling – get this – German windows! As regular readers of my blog are undoubtedly aware, German windows are my third favourite thing about Germany (after their trains and toilets). And while technically his company is selling “Austrian” windows we still had a fascinating discussion about the benefits of dual argon, triple argon, and the rarely-seen quad-argon super-screens! One of the things I was planning to do on this trip was ship back a few dozen German windows and install them in the various rooms of my house but now I don’t have to – my new best friend tells me one of his clients in Rockland will build them for me! The trip is off to a very good start. 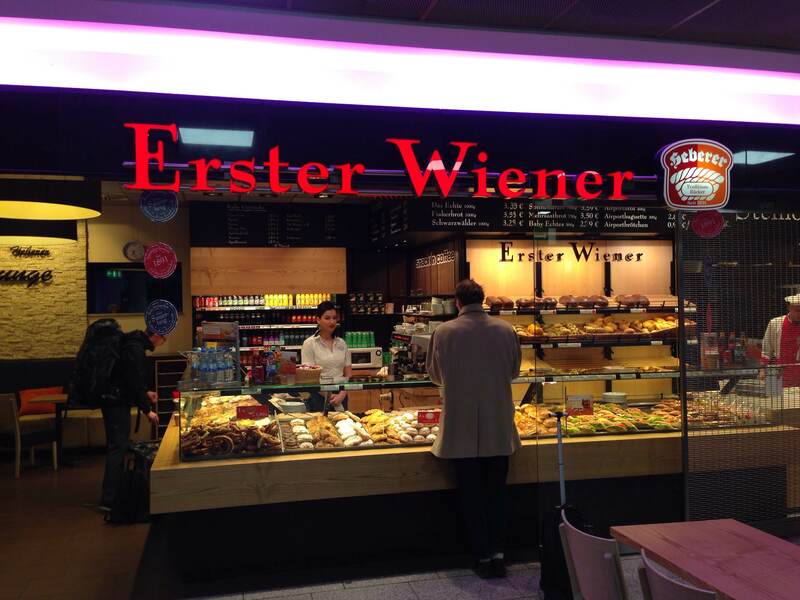 I know the start is good because the first thing I saw after I stepped through the gate into the arrivals section of Frankfurt airport was this store. ← Day 2 of 3 – You know what is awesome? Will you be coming to Vienna?